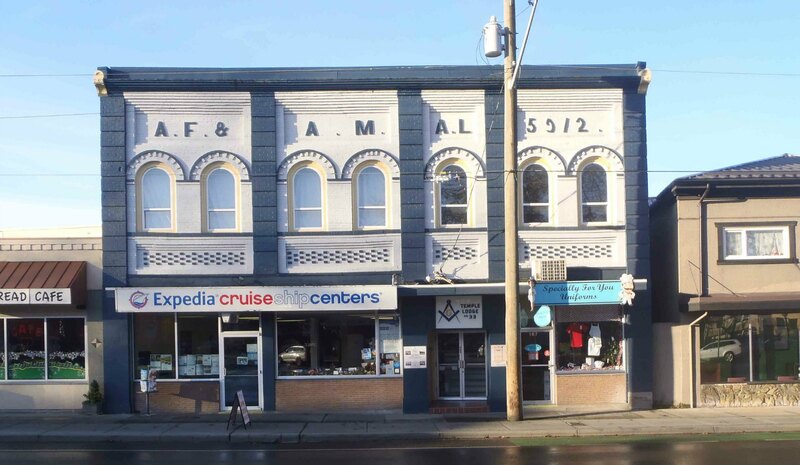 Buildings Associated With Temple Lodge Members – Temple Lodge, No.33, Duncan, B.C. 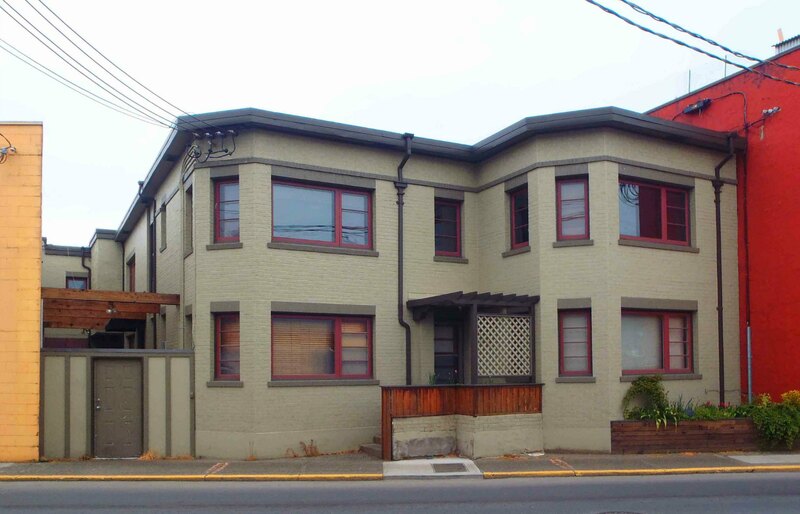 Members of Temple Lodge, No.33 have had a significant effect on the building and architectural history of Duncan and the Cowichan Valley. Also see our page on Houses Associated With Temple Lodge, No.33 Members. 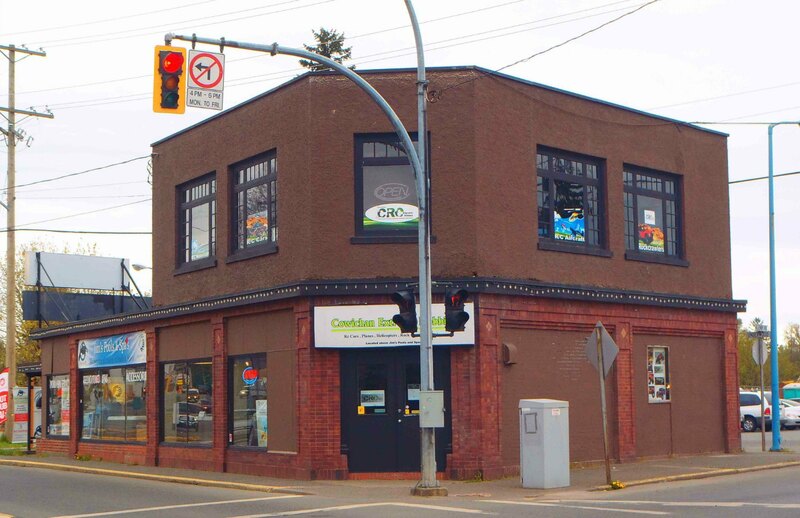 The former E&N Railway Station, Canada Avenue, Duncan, B.C. The former E&N Railway Station was built in 1912. The Duncan station master in 1912 was Roland Clayton Fawcett (1867-1923), a member of Temple Lodge, No.33 …… Read More…. 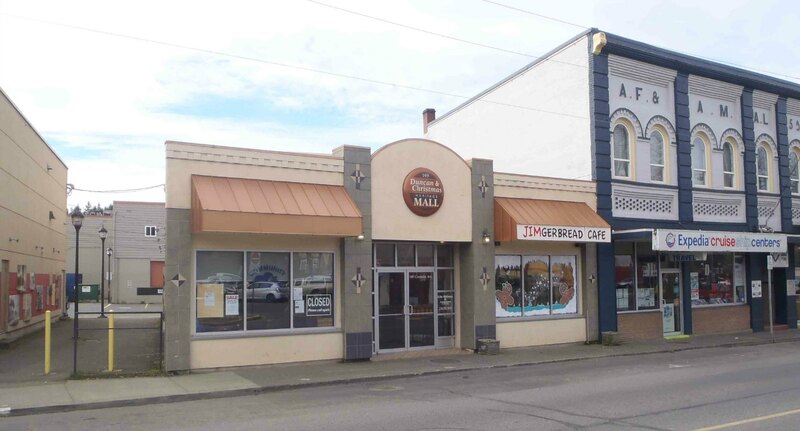 Duncan and Christmas Heritage Mall, 149 Canada Avenue, Duncan, B.C. The Duncan Masonic Temple is on the right of the photo. 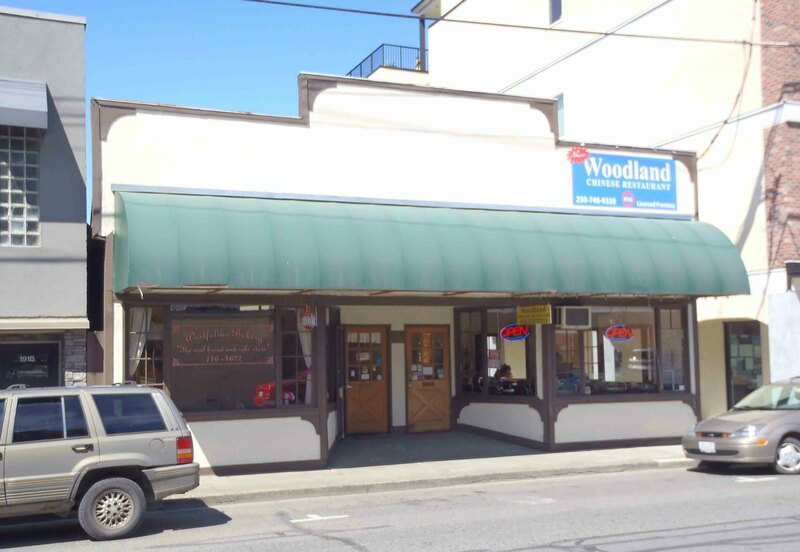 45 Craig Street, Duncan, B.C. Built in 1922 for Harold F. Prevost‘s stationery business by architect Douglas James. It is now Just Jake’s Restaurant. 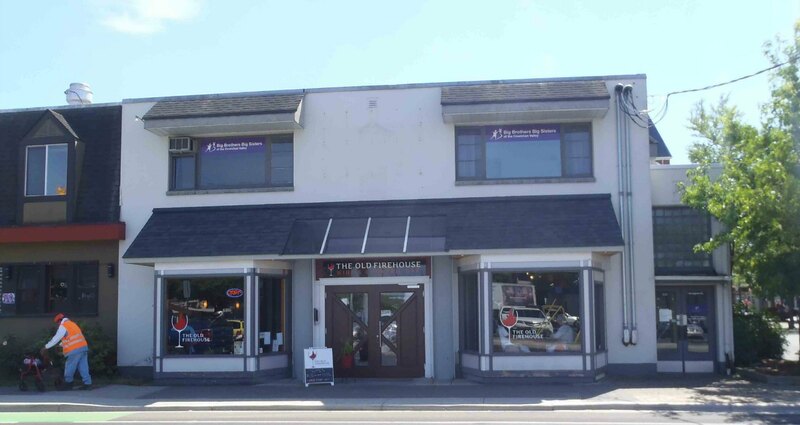 Cowichan Merchants Building in downtown Duncan. Thomas Pitt and Andrew H. Peterson were among the three partners who built this landmark building in 1912. 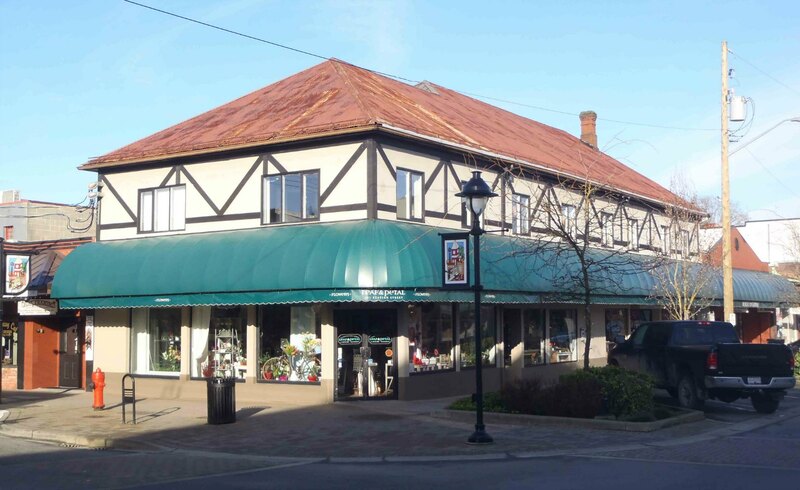 The Cowichan Merchants Building was built by Thomas Pitt and Andrew H. Peterson, two of the three partners in Cowichan Merchants Ltd….Read More…. 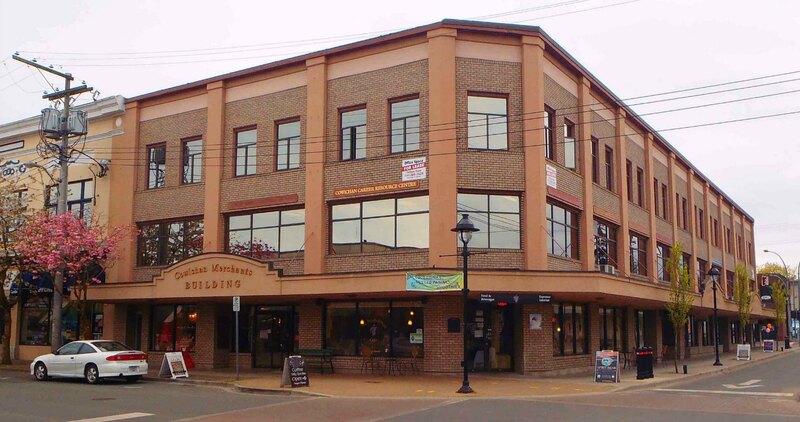 101 Station Street was built circa 1893 by Christopher Dobson for his wheelwright and carriage making business. 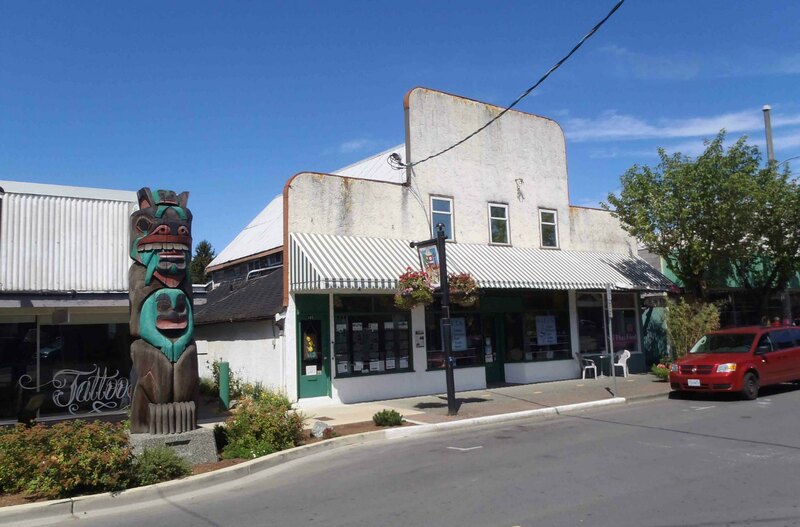 101 Station Street is one of the oldest buildings in Duncan. 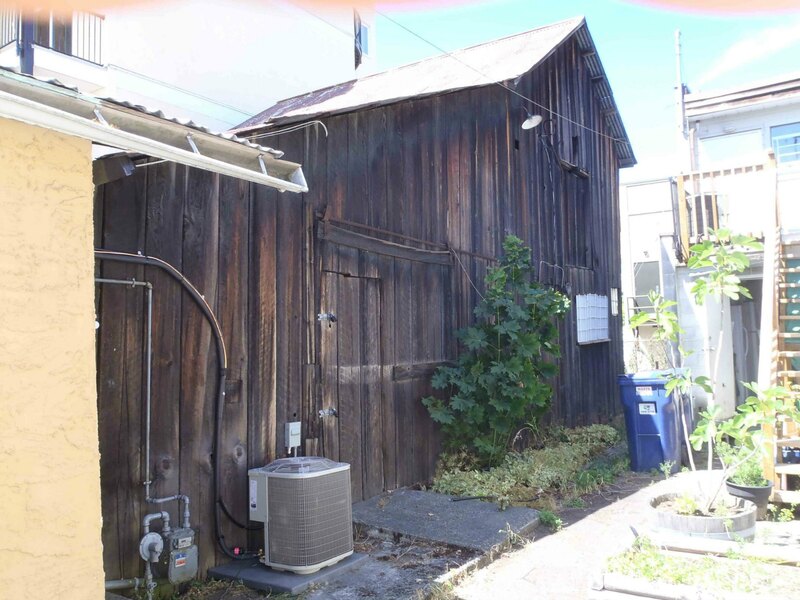 It was built circa 1893 by Christopher Dobson for his carriage repair and wheelwright business. It later became the Hudson’s Hardware store owned by Temple Lodge, No.33 member Walter Maxwell Hudson…..Read More…. Duncan City Hall was built in 1913 as the Post Office. 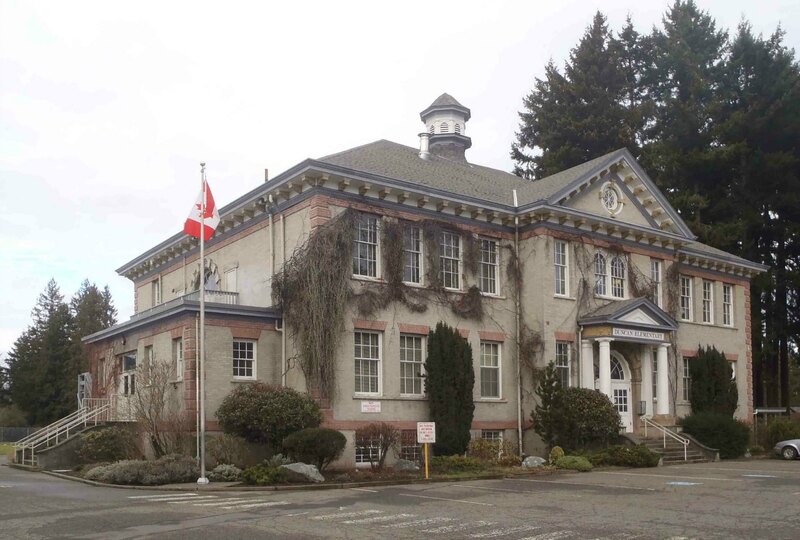 It was renovated into City Hall in 1974 in a project spearheaded by Mayor Ken Paskin, a member of Malahat Lodge, No.107, and City Councillors Gordon Berry and John Homer, both Past Masters of Temple Lodge, No.33…Read More…. 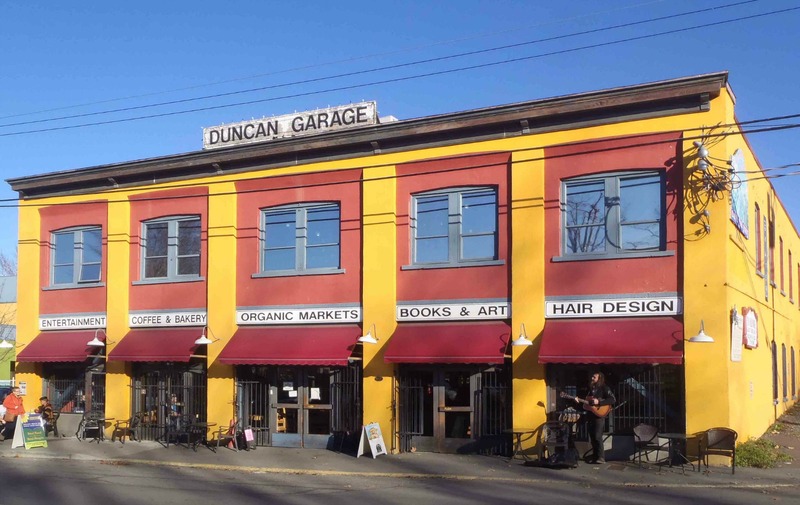 Duncan Garage, built in 1913 by Temple Lodge No.33 members Norman T. Corfield and John F. Corfield. 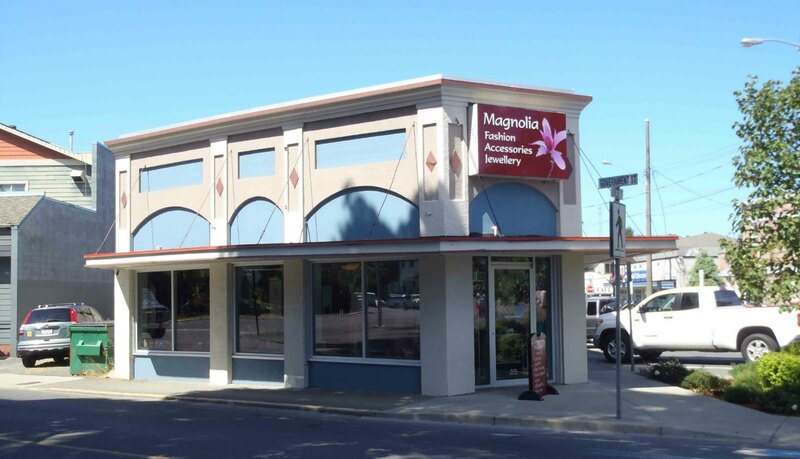 70 Government Street, Duncan, B.C. Built in 1922 by architect Douglas James and contractor Edward Lee for Temple Lodge member Charles B. Mains, who ran a butcher shop there until 1951. 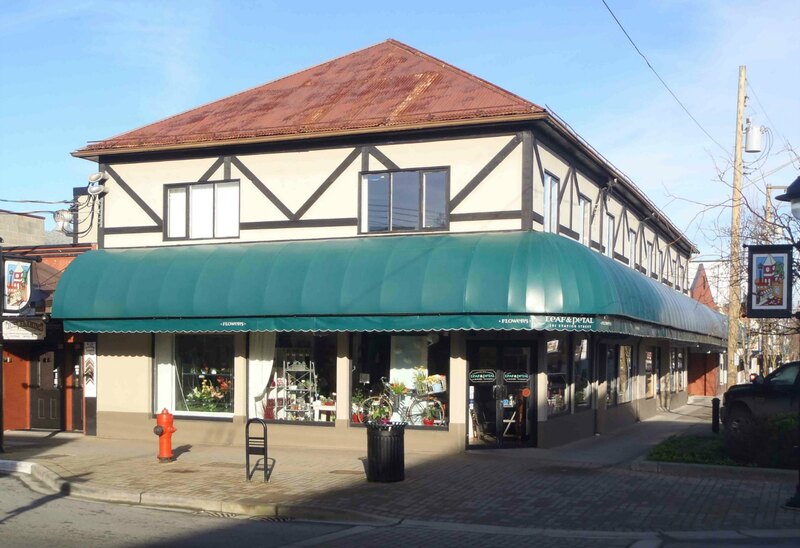 The Wragg Building was built in 1940 for James C. Wragg, a member of Malahat Lodge, No.107 Read More…. 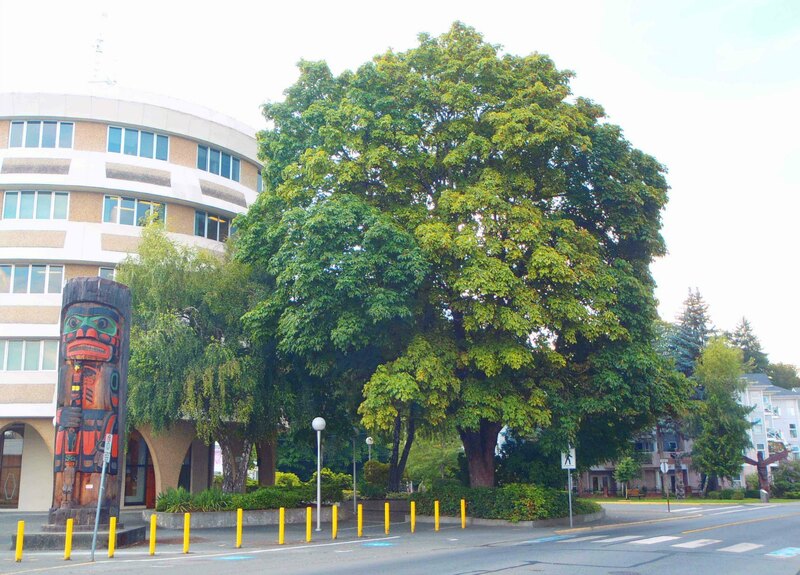 The Confederation Tree at Government Street and Jubilee Street was planted on 1 July 1927 by Temple Lodge, No.33 member David Alexander to commemorate the 50th anniversary of Canadian Confederation…….Read More…. 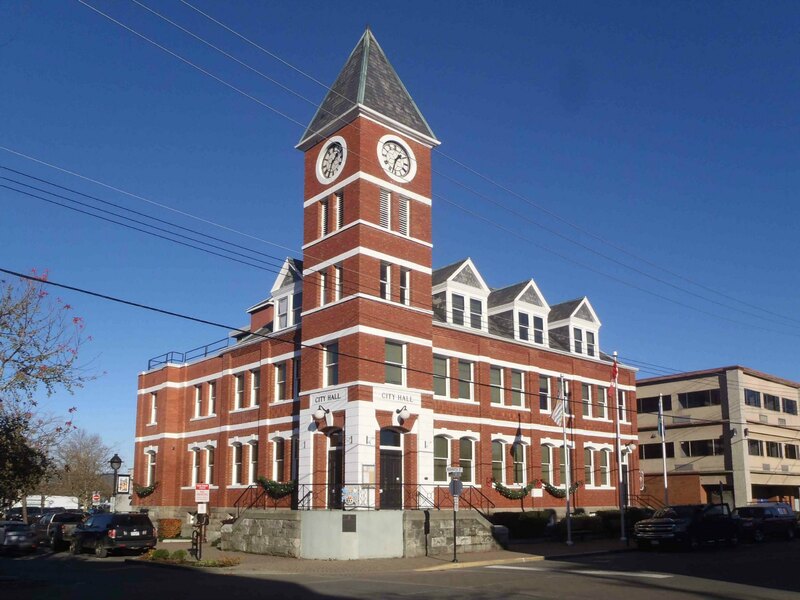 The former Duncan Fire Hall at 40 Ingram Street was built in 1923 by architect Douglas James for the City of Duncan under Mayor Ormond Towers Smythe, a member of Temple Lodge, No.33……Read More…. 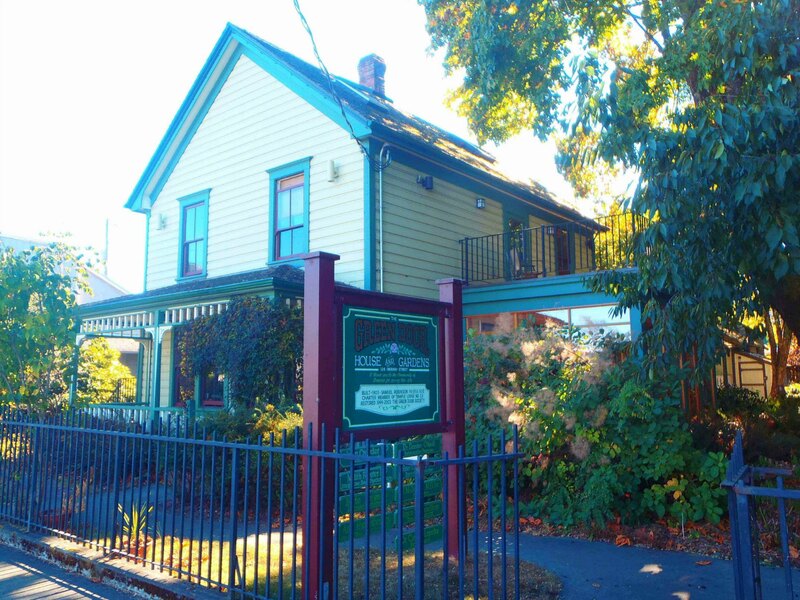 The Green Door at 126 Ingram Street is the oldest residential property still standing in downtown Duncan. It was built in 1903 by contractor Samuel Robinson for Andrew Hans Peterson…..Read More…. 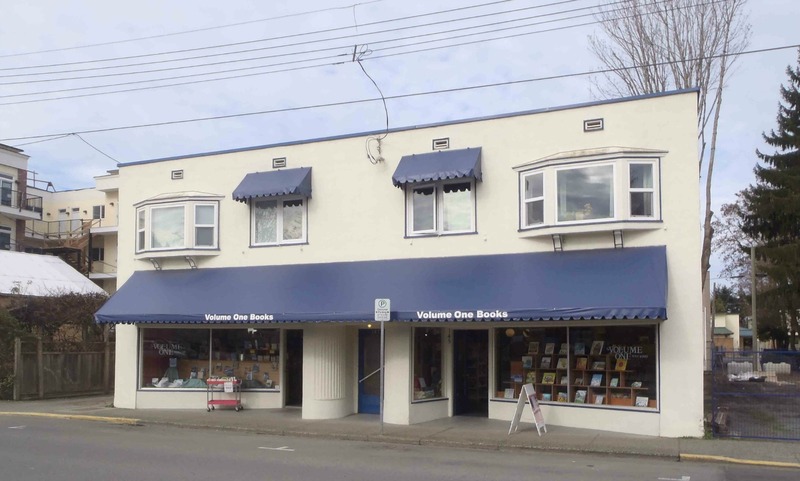 145-149 Kenneth Street has been home to Volume One Books since 1972 but it was originally built as an investment property by Claude Green in 1949….Read More…. 161 Kenneth Street has been a restaurant for many years but in the 1930s and 1940s it was used by Temple Lodge, No.33 member Claude Green for his paint contracting business. 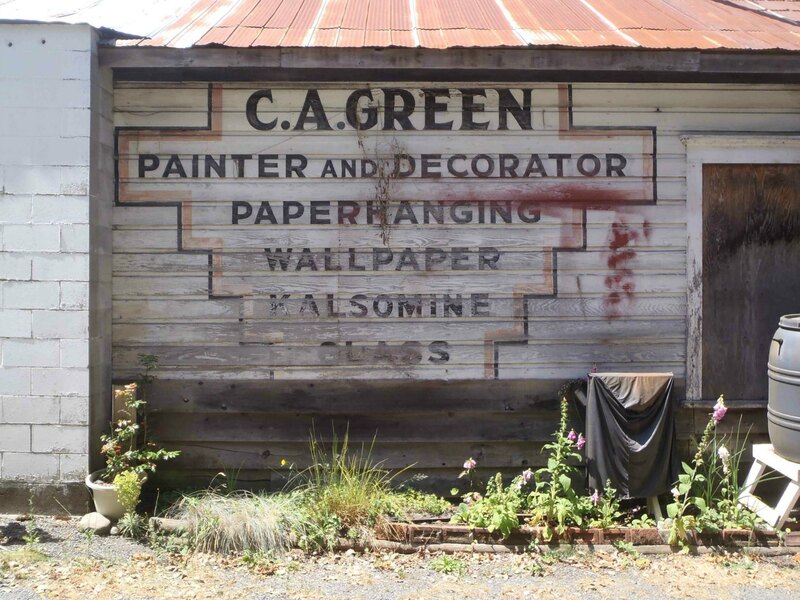 A painted sign from Claude Green‘s business is still visible on the side of the building……Read More…. 187 Craig Street was purchased by Walter Maxwell Hudson and re-fitted to its original use as a bowling alley. 187 Kenneth Street was built as a bowling alley. During the Second World War it was purchased by the federal government, which used it as a canteen for soldiers. Temple Lodge, No.33 member Walter Maxwell Hudson purchased the building in 1946 and re-fitted it as a bowling alley……Read More…. 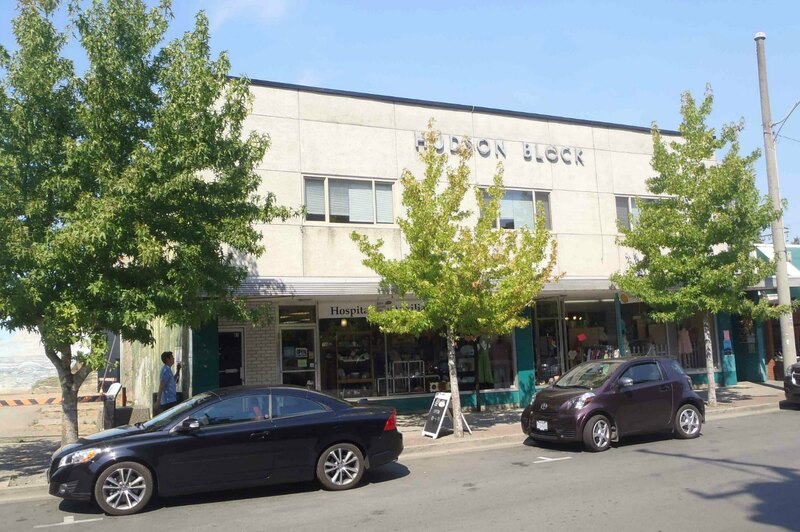 The Hudson Block on Station Street was owned by Temple Lodge, No.33 member Walter Maxwell Hudson…..Read More…. 101 Craig Street was built circa 1893 by Christopher Dobson for his wheelwright and carriage making business. 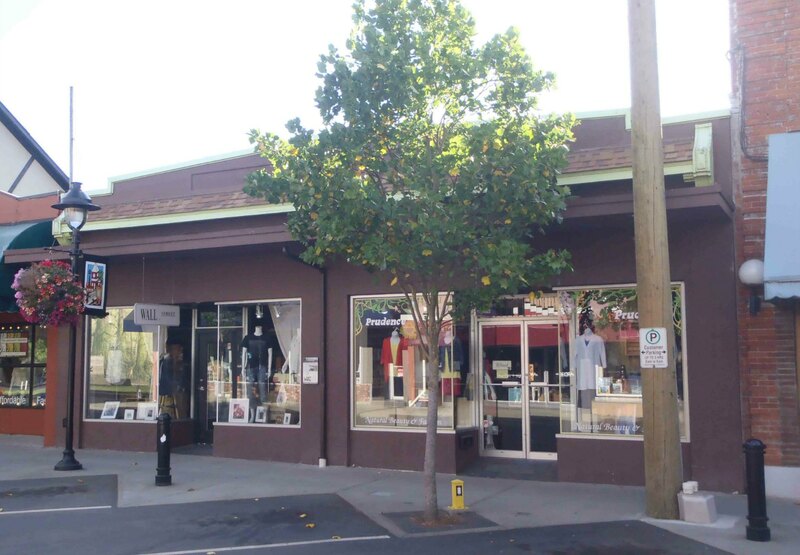 161-165 Station Street in downtown Duncan. The storefront at 165 Station Street (on the left of the photo) was occupied by Kyle’s Taxi in the 1920s and 1930s. 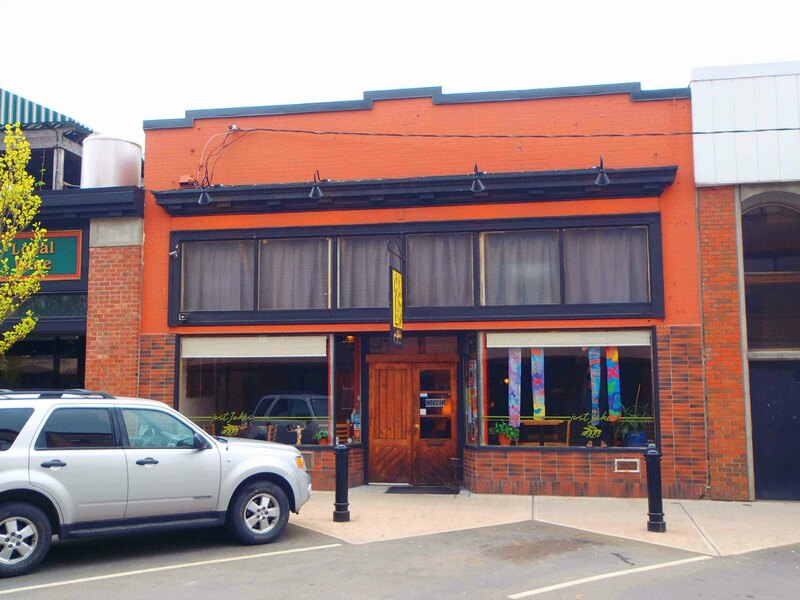 The building at 161-165 Station Street in downtown Duncan dates from the early 20th century. 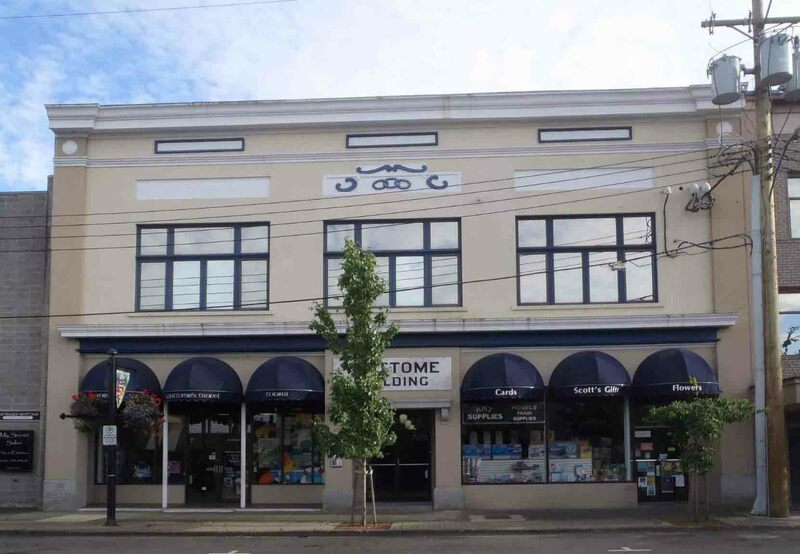 From the early 1920s until the 1950s Kyle’s Taxi, owned by Temple Lodge, No.33 member John Albert Kyle (died 1951), operated from the storefront at 165 Station Street…..Read More…..
We will add more buildings to this page as we do more research. Also see our page on Houses Associated With Temple Lodge Members.